Part of my filmography completion goals for this year is rewatching films that I either don’t remember that well or didn’t care for the first time and want to give another chance. I decided I’d go ahead and post some reactions to those as well. 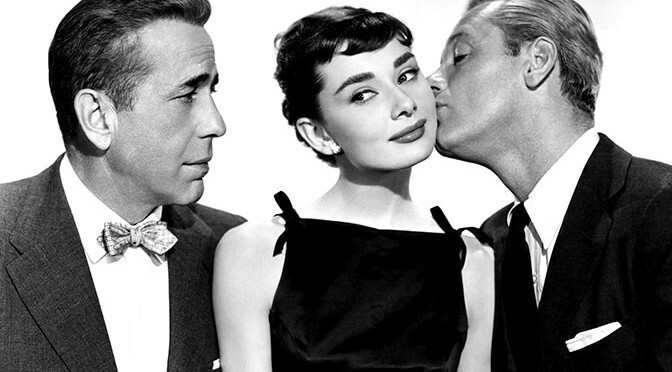 Sabrina is one of a few films that continue to benefit from Audrey Hepburn’s ongoing popularity. There are a few “classes” of classic film – ones that everyone knows like The Wizard of Oz, ones that are loved by die-hard classic aficionados, and ones like Sabrina that find an appreciative modern audience of people who are open to classic films but aren’t necessarily big film buffs in general. 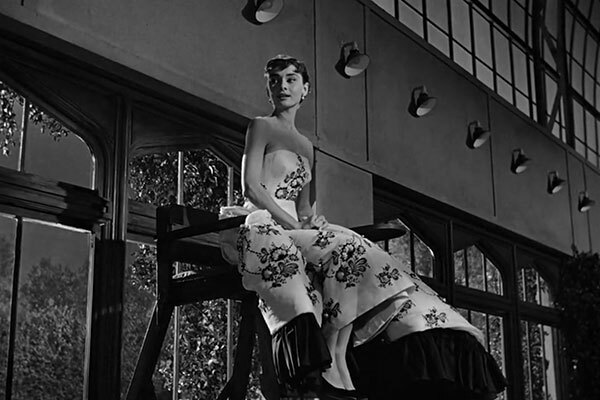 These people gravitate toward Audrey Hepburn as a style icon, and certain films of hers (especially this one, Roman Holiday, Funny Face, Breakfast at Tiffany’s, Charade and My Fair Lady) stay perennially popular because they highlight her effortless style, effervescent screen presence, and ineffable wide-eyed innocence. Karina Longworth has a great podcast called You Must Remember This, an exploration of stories from classic Hollywood, and she has an episode devoted to Audrey Hepburn and specifically the making of Sabrina – what it meant for Hepburn’s career, how it solidified her style (it was her first time wearing Givenchy, whose Parisian couture became inextricably linked to Hepburn for the rest of her career), and how it really established her career and her persona. 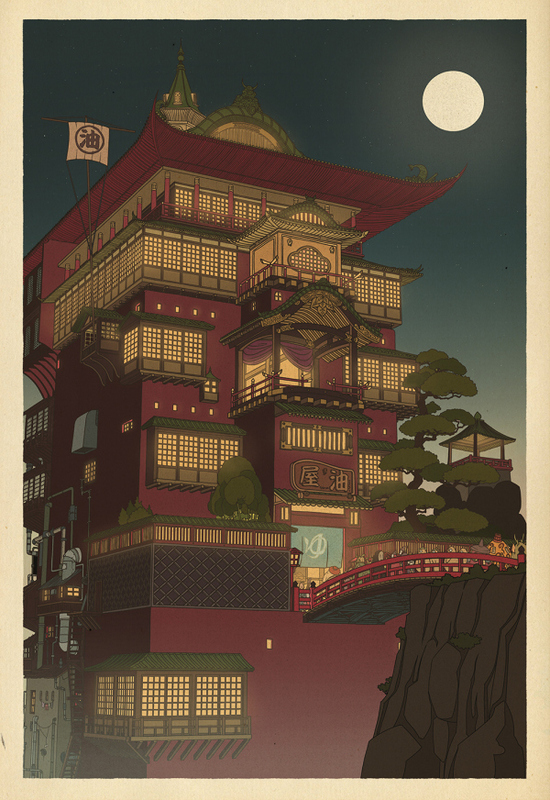 I suspect that has a lot to do with its endurance in the popular imagination. Those aren’t the things that bother me in the film, either. 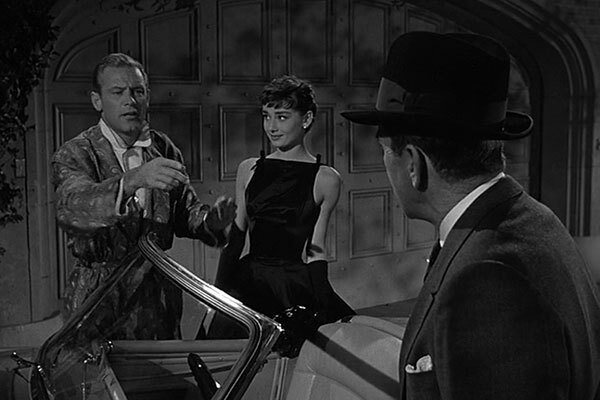 In the film, Hepburn plays young Sabrina Fairchild (as much a descriptor as a surname), the daughter of the chauffeur to a family of rich industrialists on Long Island. She constantly moons over the younger brother David Larrabee (William Holden), who emphatically doesn’t deserve it – he’s an inveterate womanizer who’s already been married a few times, not to mention numerous dalliances, most of which Sabrina has witnessed from her hiding spot in a tree overlooking the famous Larrabee parties, and now David is being groomed to marry the daughter of another rich industrialist, solidifying a merger between their families’ companies. Mr. Fairchild sends his daughter over to Paris to learn the culinary arts and hopefully get over David. She comes back with new-found sophistication and poise (and Givenchy dresses), and crucially NOT over David – but now she’s just the type of girl to catch his eye, and she does. 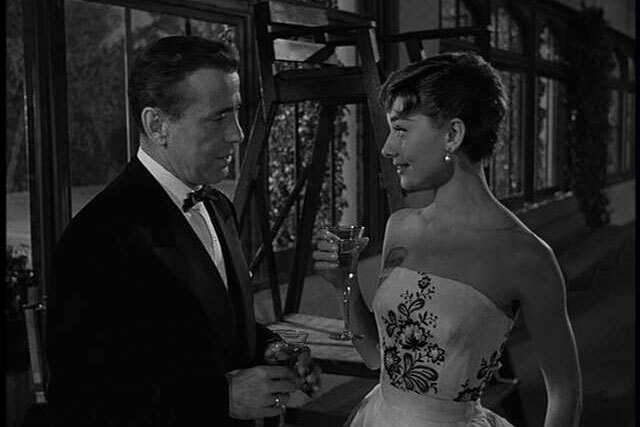 This threatens the merger, so David’s older brother Linus (Humphrey Bogart) steps in to seduce Sabrina away from David and pack her off to France. Except now Sabrina really does fall for Linus, and vice versa. First of all, I just simply don’t believe that Sabrina would fall for David in the first place, because she KNOWS what kind of a jerk he is. You can put it down to naivete or some messed up idea that playing the field is romantic masculinity or something, but I don’t think that works once she’s been to Europe and back. Maybe the point is that the sophistication is only skin-deep and she’s still a naive child underneath, and I think that’s part of it, but David simply isn’t charming enough to overcome his douchiness. This may be a problem I have with William Holden, who I like in Sunset Boulevard and not a whole lot else, but David needs Cary Grant-level charm to overcome how much of a heel he is, and Holden simply can’t provide that. On the other hand, I’m a huge Humphrey Bogart fan, and he just doesn’t work as Linus. 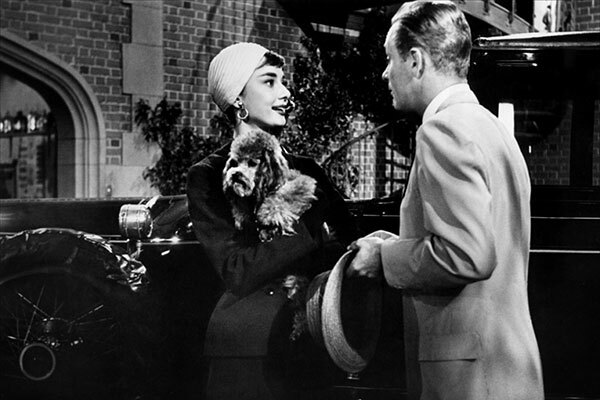 Longworth’s commentary confirmed something I’ve long thought purely through watching the movie – Bogart did NOT want to be in this movie, and he felt Wilder, Holden, and Hepburn were intentionally sabotaging and upstaging him. He clearly doesn’t want to be there, and it shows. He has a few scenes I think are really good, like when he gets David to make a fool of himself jumping on a piece of plastic to prove its strength. But his offscreen anger makes Linus’ rivalry with David much too acidic, and it rings false when he intends to sacrifice his love for Sabrina for David’s sake (and vice versa, when David does the same thing). Meanwhile, Sabrina’s caught in between this brotherly rivalry, a plaything tossed back and forth between them for various ends, none of them her wellbeing. She’s really better off without EITHER of them, and again, her reunion with Linus at the end rings false. She should be pissed that he used her the way he did and then just turns up expecting her to take him back – but then she just takes him back, no questions asked. It’s one of the few films by Billy Wilder that seems like it gives a woman unequivocal center stage, and yet her entire existence is subsumed by these two brothers and their selfish goals. But hold up. I give a ton of classic films a pass for narrative shortcuts like this. I can put up with falling in love at first site or nonsensical reunions, or even casual misogyny in many a classic film. Why does it bother me so much in THIS one? 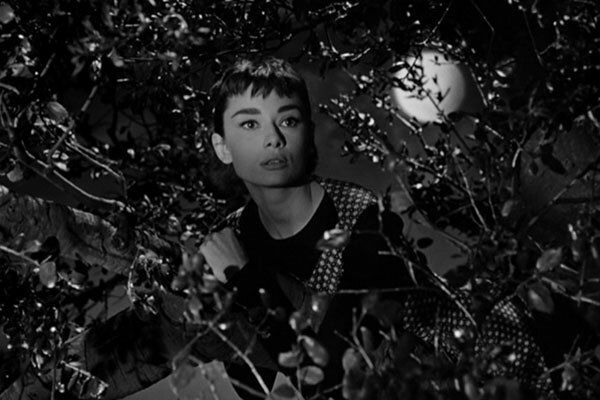 It’s not that I don’t get the charm of Hepburn’s central performance. Her innate and undeniable charisma is the only thing that makes the film watchable for me. Why is that not enough, when a charismatic performance by Barbara Stanwyck, Jean Arthur, or many other actresses carry me right through stuff like this most of the time? I don’t really know the answer to this. I just know that I’ve watched Sabrina three times now, hoping to one day get carried away by the magic, and it doesn’t happen. The only explanation I have is this sense of backlash against a film that I feel like is held up above what it deserves, and I hate that explanation. Films shouldn’t be judged based on what other people think about them. But would I have the same reaction to it if I weren’t coming at it from a place of “other people like this a lot, why can’t I?” I don’t know. I don’t know that I can know, because I don’t think I can come at the film from any other place. Perhaps the best that I can do is acknowledge the issues I have with it, value it for Hepburn’s performance and style, which is probably why others love it anyway, and move on with my life. Thanks for pointing me to this post! Your reaction to the movie is the same as mine, right down to not being able to give it a pass for things that don’t give me much pause elsewhere. I was hoping you’d come to an answer for why, because odds are it would be my answer as well. After just one viewing, I don’t have one. I like Holden more, perhaps, than you, in that I like him a lot in Kwai and Network in addition to Sunset, but I agree that he’s not the charming cad type — he’s just a cad. I think that’s almost a conscious thing in the films I named, which depend on him either not being able to win people over and/or being damningly complicit in something rotten. Cary Grant characters, leaning, as you said, more to the charm side than the cad side, always seem to have a way of not actually being complicit in whatever schemes they appear at first to be running. I love Grant movies, but in comparison to Holden movies they can feel like cop-outs. On the other hand, I really disliked The Wild Bunch, where Holden’s grumpiness and the tendency his vehicles have not to let anyone off the hook are taken rather too far, and more for the sake of style than story. Bogie really is no fun here, and I can’t think of another movie in which he’s anything but fun. He feels so old and decrepit, and maybe that’s part of why the romance just isn’t believable. I’m no fashion maven (my loss, really), and I fancy myself a bit beyond the level of film neophyte, but I admit I love Audrey Hepburn as much as any dormroom poster-hanger. There are always wheels turning behind those doe eyes. Yeah, I wish I had a better answer for why I can’t forgive things in this that work for me in other classic films. Maybe it just comes down to Bogart and Holden not being able to sell me on it this time around. 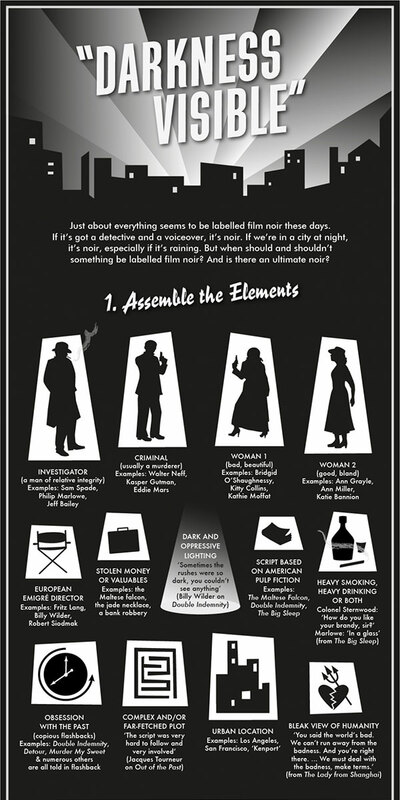 I didn’t know this when I wrote this, but apparently they originally wanted Cary Grant for the Bogart part. That might’ve worked better, though I think in that case, her falling for Holden instead at first would’ve been even harder to believe.